Re-energised following three stop-start seasons on the books of FC Bayern München, Mario Götze has returned to boyhood club Borussia Dortmund determined to rediscover his best form. Signing autographs, chatting and posing for selfies until the last fan was satisfied, Mario Götze cut a happy figure after the sweat-soaked practice sessions at Borussia Dortmund's summer training camp in Bad Ragaz, Switzerland. "It's always nice to be in a positive environment, surrounded by people who like and appreciate you," said Germany's 2014 World Cup final hero. The man playing perhaps the single biggest role in re-boosting Götze's spirits and self-confidence is Thomas Tuchel, head coach at the 24-year-old's once-and-future club. "I just want to see Mario laugh more often," Tuchel tellingly remarked shortly after the deal was sealed on the former wunderkind's return from a three-year stint at FC Bayern München. Expanding on the theme after the first few days training with his new charge, Tuchel said, "I think Mario was looking for a bit more of a feeling of warmth and affinity – not just from the coach, but the club in its entirety." Let Götze lead you to glory on the Official Fantasy Bundesliga - sign up now! At Dortmund, he appears to be getting it; and rather sooner than many a skeptic had supposed when news of the return transfer broke. “It's like Mario was never away. He's matured, but he's still the same funny, easy-going guy he was before. We're really glad to have him back on board,” said left-back Marcel Schmelzer, evidently speaking for the BVB squad as a whole. Making the choice even easier was the fact that, "I grew up here. I know the training ground, I know the whole city, I've a few friends and acquaintances here." Prominent among them are hometown hero Marco Reus and fellow World Cup winner André Schürrle, another summer arrival from VfL Wolfsburg. 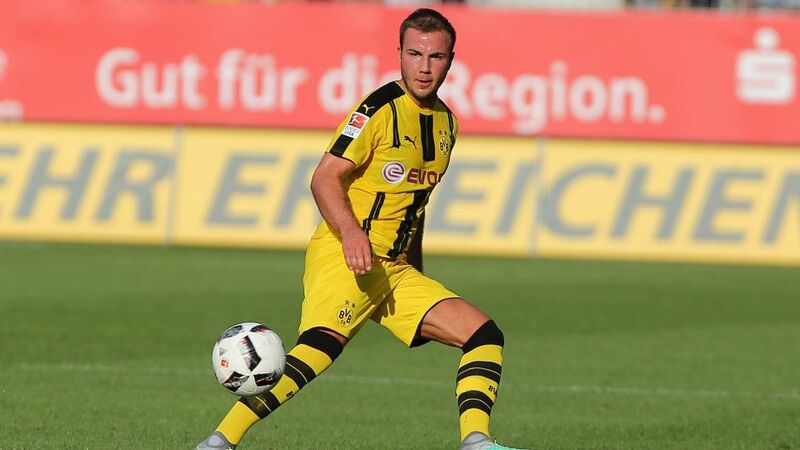 As for the not inconsiderable section of the Dortmund support who castigated him for his move to arch-rivals Bayern in 2013, Götze is hoping to win them over again in the best way possible: "I'm looking forward to the new season with the coaching staff and the team. I want to play as well as I can and help Dortmund be successful. I can only try to make my case with my performances out on the pitch."